Let’s say you’re a fan who’s new to video games. Maybe you’ve played the recent Battlefront titles, you’re aware of the rich, decades-long history of Star Wars games, but you don’t know where to start. 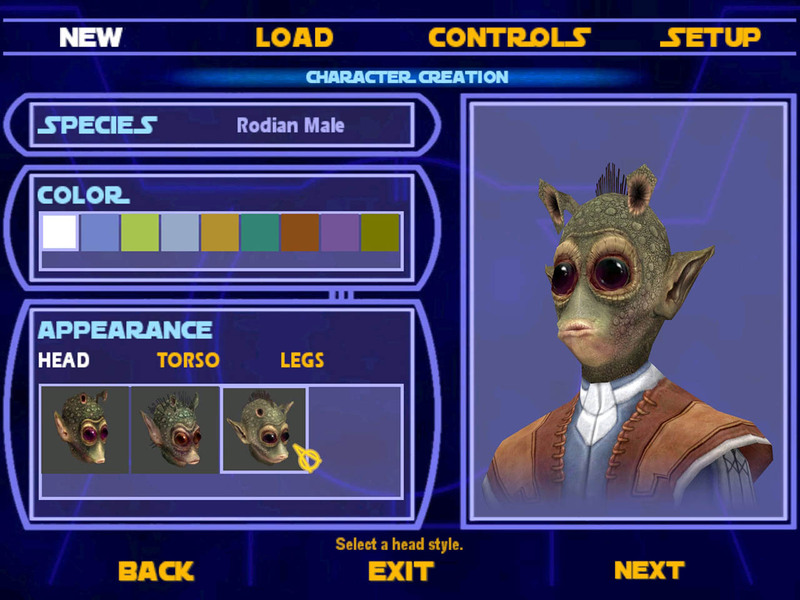 Star Wars Jedi Knight: Jedi Academy might just be the perfect entry point into the classics. Released in 2003 for the Xbox and PC, Jedi Academy is Raven Software’s follow-up to the highly acclaimed Jedi Knight II: Jedi Outcast, making it the fourth and final installment in the Jedi Knight quadrilogy that began with LucasArts’ beloved 1995 shooter Dark Forces. However, Jedi Academy is a fairly self-contained, standalone experience; you can easily enjoy it without having played the others. It also bridges the gap between retro gameplay and more modern blockbuster sensibilities. The game was built using id Software’s Quake III engine (programmed by Doom co-creator and Oculus chief technologist John Carmack), so it’s firmly rooted in the first-person shooters of the past — but it’s got plenty of lightsaber action, too. In this Legends-era story, players take on the role of a Jedi initiate named Jaden Korr. What makes Jaden an interesting protagonist is that the character is whoever you want them to be, ultimately — male or female, Twi’lek, Zabrak, human, Kel Dor, Rodian. You can choose their appearance, the style and color of their outfit. Even the design of Korr’s lightsaber hilt is up to you. There are nine hilts to choose from, along with five blade colors: purple, yellow, blue, orange, and green. Jaden Korr — in a sense, the player — becomes Katarn’s apprentice as the search for this dangerous Cult of Ragnos begins. Here, following a brief training session on Yavin, the game opens up into an episodic, nonlinear series of missions across the galaxy. Venturing to planets like Tatooine, Bakura, Blenjeel, and Corellia, you’ll fight alongside familiar faces (like Chewbacca!) in your quest to thwart the Sith cultists and achieve mastery of the Jedi arts. 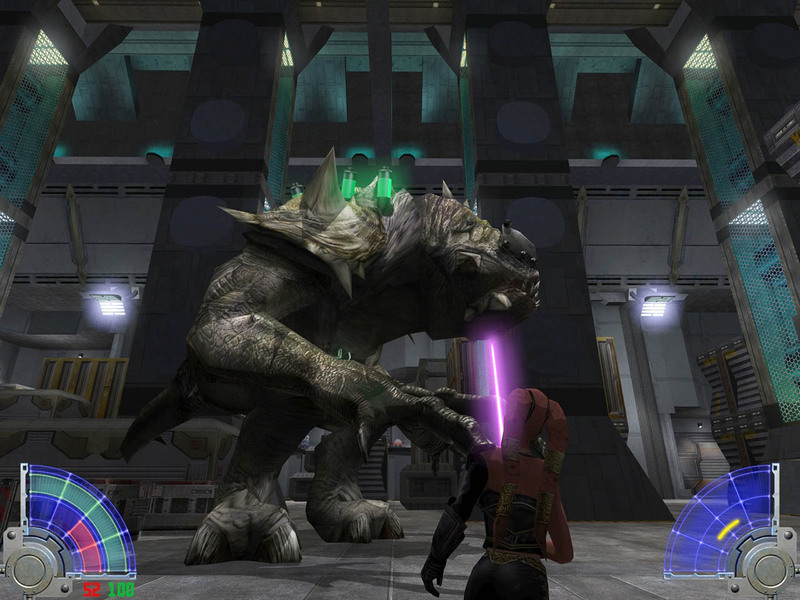 If you want to get your hands on a custom lightsaber and Jedi avatar that suit your personality and play style, and take on rancor beasts and followers of the ancient Sith, Jedi Academy is the old-school game for you. With its foundation of Quake-style FPS gameplay, you’ll find yourself toggling back and forth between your saber and an arsenal of recognizable weaponry like the Wookiee bowcaster, E-11 Blaster Rifle, and thermal detonator. If you’ve never delved into the world of classic Star Wars games, there’s no better time to start — and the Jedi Knight series is a crucial piece of that history. 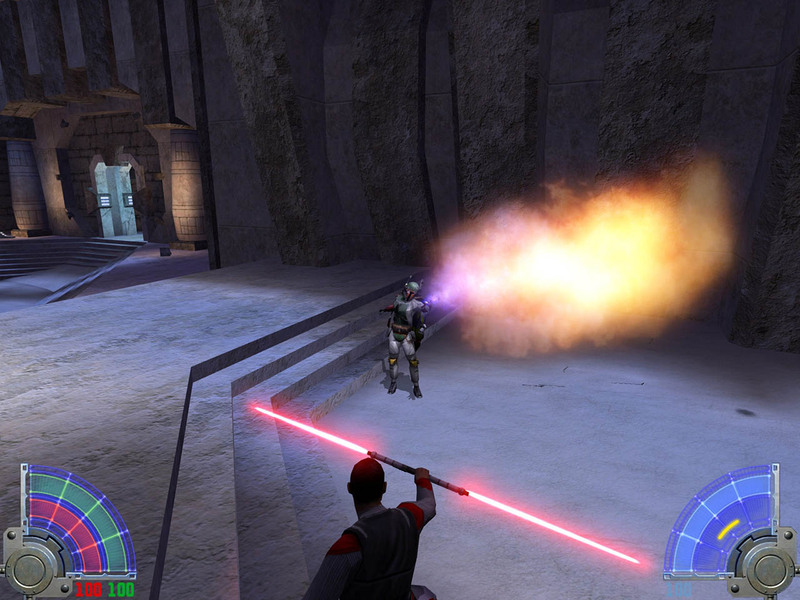 Star Wars Jedi Knight: Jedi Academy is available on Xbox One, Steam, GOG.com, and the Humble Store.